Understated elegance and sophistication are the hallmarks of this gift box. Antique gold spikes against a black background make this a standout contemporary box. Antique gold braid surrounds the lip of the lid which is finished off by a beautiful golden filigree. Inside the Golden Spikes gift box, you'll find a dramatic setting of the spikes against black satin. 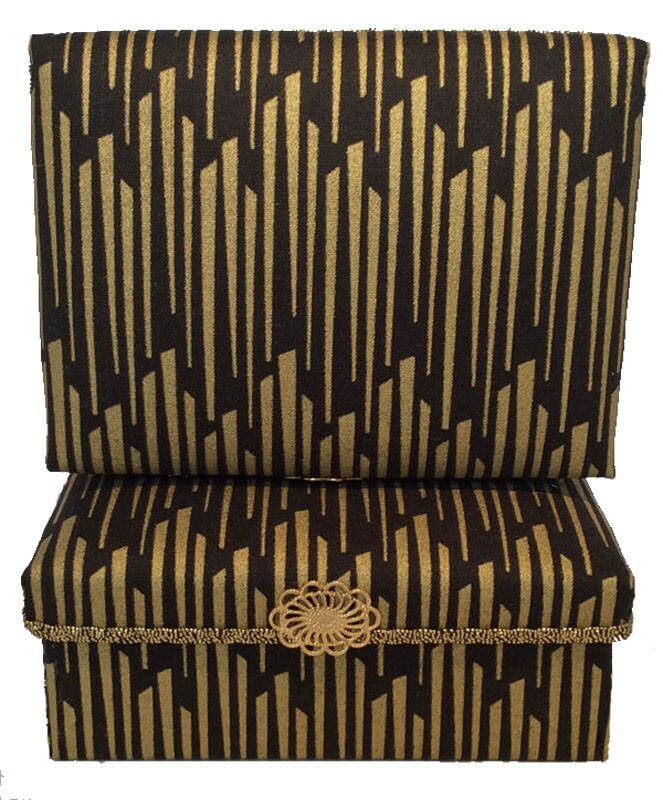 This striking gift box comes in one size only - 5.25" x 3.75" x 2"
This contemporary and elegant handcrafted fabric-covered gift box fits any décor. 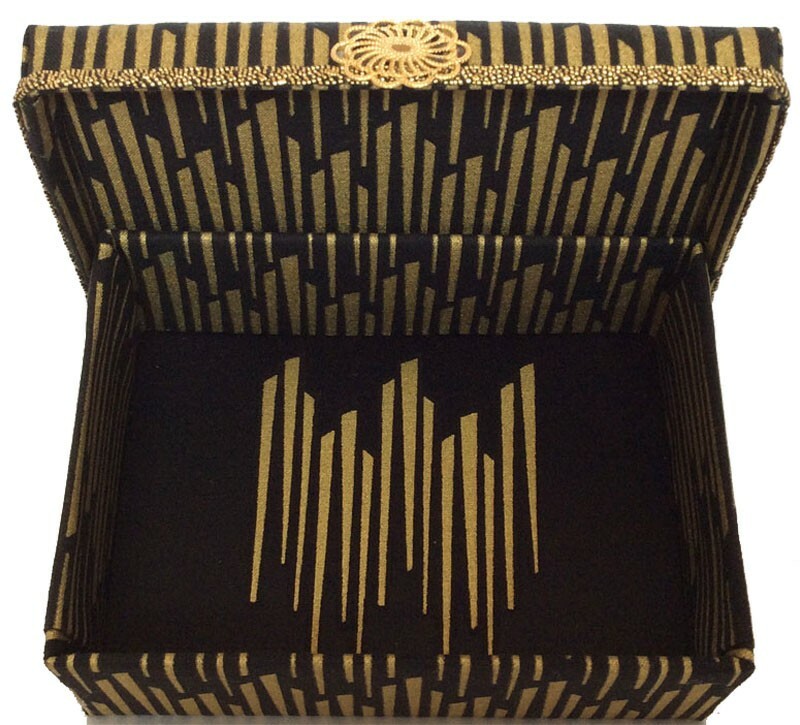 For use on your dresser, desk or side table, the Golden Spikes Gift Box can hold business cards, keys, coins, jewelry, watches and other small items.